Home » Blog » How to train? Allround or seperate muscle group training? Posted by Steelgear in Training on July 20, 2016 . 0 Comments. 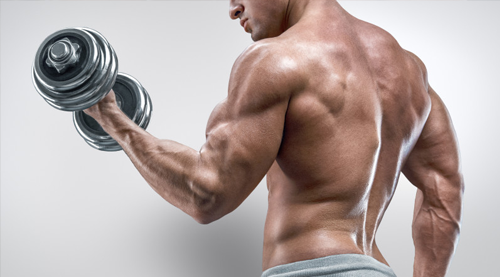 Did you know that you can lose muscle mass while training? Allround training or seperate muscle group training. Which one is better? Allround training can tire muscles and put you in catabolic state which means that you get smaller and lose muscle mass. You need to be in anabolic state to be able to grow and get bigger. This situation is very important. It is also very important that you get your sleep, at least 8 hours per day and also eat good. Supplements in this case can be very helpful. Personally I always use whey protein, casein, bcaa, glutamine and arginine and som fatburners as lcarnitine. You can build about 3-4 kg of musle mass per year naturally but if you use steroids this can increase upto 6-7 kg. Use of steroids puts you in the red zone and you need to use steroids properly. For an example never use deca or trenbolone alone, always mix it with testosterone or else this can cause infertility. A lot of users do this mistake. Always explore and get information about use of steroids. Steroids are not as dangerous as its written on the internet. Did you know that vitamins are more dangerous than steroids? I would recommend you to watch the award-winning documentary bigger stronger faster. Of course overdose and abuse of all kind of medicine can harm and kill you. Abuse of sleeping pills or painkillers can harm or kill you. So it is highly important that you use steroids properly. So in the end it comes to training good, eat good and sleep good. These 3 things will make you grow and get the body you always wanted. And do not forget to train legs, never skip legdays which I personally hate but it helps about 25%-30% to build your upper part of your body. So I would say pack your bag and hit the gym and go all in. In the end you will be the winner.